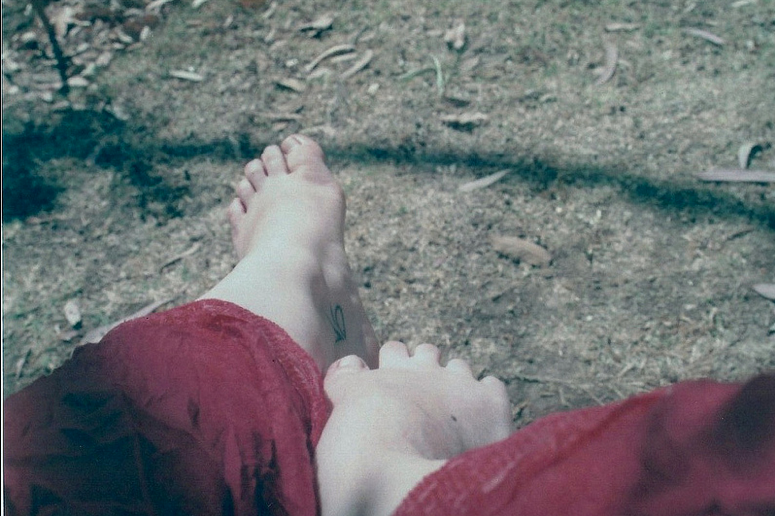 I love being barefoot (I do so even at my universities’s library…sometimes). It is a couple of year old costume of mine. There is no major moral and material tissue unlinking us from our surrounding environment than a shoe. As for the moral tissue, using footwear is an ethical requirement; it must be done by respect to others. About the material tissue, footwear offers us value added, is the highest expression of the consumerist materialist style: shoes determine men. “A man is judged by his shoes”, it is said. They’re the conclusive detail of dressing. Thats how footwear is required from the individual, through one ethical demand and one material demand. But there’s a problem surrounding these requirements. ¿Whats the best way of denying nature -reality- if not through ethics and materialism? Ethics -and morality- arrive from cultural demands under an eagerness for “civilisation”. One barefoot has repercussions over relationships, is not well-seen, and disgusts people (ok, I admit perhaps feet ain’t the prettiest part of the body). And civilisation, culture tries to mediate or, better said, to limit desires to a degree in which guilt is spawn (sometimes I fell guilty for being barefoot in presence of others). Son inherently determined lies the ethic in footwear that persons are judged by their footwear. Likewise, civilisation seeks to drive us away from the (natural) environment for the risks this represents. Footwear is the material flesh, for a tissue exists between man´s footsole and the ground. His feet are not on the ground. This could (and should) be sen as an alienation from the surrounding environment, through which we protect our “delicate” skin from the terrestrial dangers (rocks, broken sharped materials, stinging animals, the cold from the pavement and the boiling ground). LIFE IS NOT EXEMT OF RISKS! That is denying life and the world as they are. Out there they’re both ready tom make life impossible; obstacles, risks and wounds will inflict us, laboural, professional, and academic. Even material ones. The more footwear we wear, the less our feet will stand against these risks, and we become more vulnerable behind a shoe’s dependency and in front of the alienating consumerism market (capitals and materialist) which provides it. More and more we submit ourselves to the denial of the given world, more and more we subdue ourselves to the weakness as consequence of our weakness, and more and more we subjugate ourselves to the world and it’s risks. Its the opposite from a vaccine, which introduces the “virus” inter our immunological system in order for it to assimilate it and learn to defend against it. Its the opposite from alcohol tolerance, which develops as a person drinks more alcohol, and makes us resistant to it’s effects. It is too the antonym of callosity. It is said that being barefoot is unhygienic (and hygiene is just another cultural requirement), for one gets dirty and may contract (or spread) fungi. Nevertheless, we bathe more often than we wash our shoes. Even we wash our socks more frequently. So the next time someone steps on your carpet with his footwear, ask yourself what has that person not stepped over (dirt, mud, dust, bugs, dregs and poop, urine… even the dirty pavement and the stinky street!). Skin is waterproof smooth and flat; footwear isn’t, which makes dirt and mud harder to remove. In conclusion, walking barefoot is to keep in deep touch -intimate contact- with the environment, its keeping feet on the ground (settling the head down) and relate oneself with the world. Feeling the grass under the sole is relaxing and contorting; the ground is everyless rough, and allegory on how our mind and cognition, through touch, assimilate the surroundings and sympathise with it; the heat of the pavement burns everyless and the cold of the ground causes no chills anymore. Shoes are nice, and from a cultural point of view, necessary. I like buying shoes (I’m worse than a woman). But there’s a point where wearing them turns to be suffocating and oppressive, like the system we live in. But yes, there’s nothing we can do with dirt. But unlike the shoe, dirt comes out easily from the foot. I must admit shoes are better at dissimulating the dirt. ¡Dare to make the foot, to scrap the skin against the ground, to get burned with the pavement…to feel the surrounding environment! We live in a not-given world, but transferred, that suffocates us. Being in touch with the given world is a good way to relax. Enjoy it. I’m thinking on a concluding phrase: And there at the top, thirteen floors over solid ground, the successful businessman appreciates the urban ant view from his office. He’s wearing Versace shoes. Why is U.S.A so consumable?